Navigation: Home » Investing » How Did Mitt Romney Get a $20.7 Million IRA? You’ve got an IRA, right? This site has been preaching the tax benefits of both traditional and Roth IRAs since the beginning… and we aren’t going to stop now. So hopefully you’ve been diligently saving in your IRA, with the hope that some day you’ll have a couple million dollars in there (or at least a good amount of funds you can tap in retirement). But we’re not going to talk about your IRA today – we’re going to discuss Mitt Romney’s IRA. Well, unless Mr. Romney releases all of his tax returns back to 1975 (when the IRA was first created), we’ll never know for certain. However, here at DQYDJ we’re not opposed to wildly speculating on the causes of his IRA balance. Mr. Romney was in the workforce for the entire duration of the IRA’s existence, up until 1999 when he left to be President & CEO of the 2002 Olympic Games in Salt Lake City. From 1981 onward, the IRA limit was $2,000 (previously, it was $1,500). His wife, Ann, is a stay at home mother. Non-working spouses were unable to contribute until 1982 when the limit was $250. From 1997 – 1999 the Romneys would have been able to take advantage of a change in the law allowing Ann a full $2,000 in contributions. We are going to assume that the Romneys maxed out their IRA contributions, putting a total of $57,000 into the accounts. Even with huge growth in some of the years, $57,000 seems small, doesn’t it? Well, consider that much of the contributions likely came from rolling over 401(k)s. We will assume that the Romneys used the Financial Samurai’s strategy of maxing out their 401(k)s. Mr. Romney worked at Boston Consulting Group from 1975 until 1977, then either Bain & Company or Bain Capital (which he founded) until 1999. Here’s where things get weird – 401(k)s have a contribution, match, and a separate company contribution limit. We’re not going to count the 401(k) until 1982, since most companies didn’t have one yet (no word on BCG or Bain & Company). That year, it was possible to get up to $45,475 in the plan. The next year, that limit was cut to $30,000, until 1986. In 1986? The limit was frozen at $30,000, but employees could only contribute $7,000 (we’ll be generous and assume Bain made up the difference). The next major changes in Deferred Compensation plans didn’t come until 2001, so we’ll assume that the Romneys hit the $30,000 mark in the years between. All in? The Romneys may have contributed $57,000 to IRAs and $555,475 to 401(k)s. Once rolled over, the cost basis would be $612,475 – a very good number, undoubtedly helped in our example by company contributions. 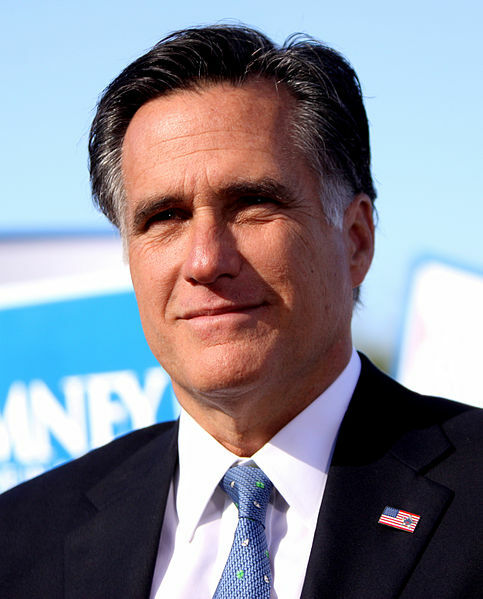 After 1999, Mr. Romney entered public service – first, the Olympics, and second, in 2002, as Governor of Massachusetts. Since we’re assuming (so we have free reign to do whatever we want), let’s assume that no additional money was added to the IRA in the years from 1999-2011 (the year of disclosure). Let’s figure out what the average rate of return would have to be, factoring in compound interest, to get $20.7 or $101.6 million dollars. By running our garbage assumptions through actual formulas, we found that to get a value of $20.7 million in 2011, the Romneys would have to average about 16.44% annual returns. To make their upper hand number fit, returns would have averaged 23.81% annually. It would be tough to achieve similar gains today without inflation to distort the numbers… to wit, something costing $1 in 1975 would cost roughly $4.23 in 2011 by this measure (Roughly 4.09% annualized from 1975-2011). the numbers look huge – but remember that an IRA can be self directed, so it is likely that Mr. Romney had access to some very interesting investment opportunities through Bain. The most important thing to recognize is that the growth rates achieved means that the appreciation of the assets held by the funds well outpaced the cost basis of the fund. $612,475 is a huge amount of contributions even without appreciation. But, as you can see from the graph above, most of the appreciation in the assets may have come when the Romneys were no longer contributing to the IRA. It is very important to contribute early and often. Contributions near the end don’t make as big a difference to the terminal balance. What lesson can you take home from this discussion? Does Mitt Romney’s IRA balance make more sense with these numbers? Isn’t compound interest huge, especially when applied to the fake numbers above? I’m pumped for these tax returns. Article writing bait? Definitely! The secret is rolling them over when you switch companies or leave the workforce. The WSJ article alluded to a 401(k) move after he left Bain Capital in 1999 for the Olympics, so I tried to figure out how he’d do maxing out both accounts and later rolling the 401(k) into the IRA. It’s actually not a hard process to roll over – I moved some 401(k) funds at Fidelity into an IRA with them and it took maybe 15 minutes on the phone? I traded stock that day, heh. Absolutely astonishing. Just like him claiming his income from speaking fees was “not that much” even though the total was close to $375,000! Really Mitt? That’s 10 times the annual income of an average person. Maybe potential Presidential candidates should immerse themselves into real American life before they start on the campaign trail. Perhaps live in a trailer park & work at Wal-Mart for a couple of months first. Mitt’s got to figure out his messages, and probably reign in some of the off the cuff remarks. Truth is, he’s getting himself in trouble with statements like the one on the speaking fees and the $10,000 bet on the debate stage with Perry. I respect the man’s accomplishments, but he needs to work on his improv skills, haha. I saw this last week – the WSJ suspected that he put a lot of his IRA assets as bain company funds, explaining the high rate of return. Yeah – I think a number of the ‘offshore accounts’ were actually just structured to invest in companies at Bain which paid out UBTI and other arcane distributions (which are inappropriate for retirement accounts). By putting another company in between himself and the other funds, he was able to invest in the funds through the intermediate. It seems sketchy, but it’s actually somewhat of a common strategy for high income folks, like Mr. Romney. I won’t knock it until I try it, heh. Heh, well I wouldn’t characterize it like that. He (or a high paid accountant) just knows the tax rules very well and has the funds to take advantage of the laws. Don’t hate the player, hate the game, am I right? I would have to guess that you are probably half right…he could have had a (or 12 lol) Qualified deferred compensation plan(s) that he rolled into an IRA. Evan, do you think you could elaborate? I don’t know about all of the plan types, but I was under the impression that the maximum hasn’t changed. I’m no expert, but my amateur reading of the IRS’s list leads me to believe that other than the 401(k) you can roll over Simple and SEP IRAs, 457(b)s, 403(b)s, and then the Qualified plans (they list profit-sharing, money purchase, and defined benefit plans). How many of these can you hold at the same time? I think even if he had more than one active, the math remains true since the total was capped at $30,000 for that time. Correct me if that is wrong, however. I don’t quite know how to parse that, but it’s obviously allowing in service rollovers and fat contributions, and is set up as a trust. Assuming something like this existed before 2008, it could more than double Romney’s IRA cost basis. Yes, the compound interest is ridiculous! A sustained 23.81% is certainly high but doesn’t sound unattainable, yet its affect on the last few years of his earnings is just crazy. Thanks for another cool analysis like this! 23.81%? Bernie Madoff eat your heart out! I actually think Bain did a lot better, so Romney may have invested even less money than I estimated above. Some sources peg his returns at 88% annually. Now that would juice a retirement account, haha! Do you think you’ll post an article? We could write two pieces on a different aspect if you want (and cross link, of course). I think that would be interesting – I’m definitely writing a piece once the returns come out! Wow, I had no idea the guy was this wealthy. How on earth can he relate to the average American? Haha… but how do any of these guys? Hopefully a silver tongue, a dose of empathy, and a bit of hard work. Just because you’re born on third base doesn’t mean you can’t talk to the fans, right? I hear you though – looking at charts like the net worth of Congress? Some crazy numbers. He can’t. We are invisible. Great example (and nice analysis) of how compound interest can rock your portfolio. Of course you do need to pick a few winners as well…..and not be part of the lost decade (boy was I born at the wrong time). Thanks Coach! Yeah, I can respect somewhere between 16 and 22%, haha. He beat Bernie Madoff if that is the case… but I don’t think anyone doubts Mitt Romney’s investing credentials. I think the main takeaway, whether you need $200,000 or $20,000,000… you need to make good decisions often and over a long period of time. Compound interest is an awesome force. He got a very impressive return on his IRA. It looks like a self-directed IRA holding your own company stock is a great way to build up your IRA. It may have been higher – check out the link I left on Jeff’s article… some reports on the return at Bain are as high as 88%! That’s a number I’d love to hit… I’d be worth more than Mitt pretty quickly, haha. Sweet returns for Mitt. Maybe he can do the same for the US. Start with a few billion, and pay off the national debt in three years. I wonder if he knows the price of a gallon of milk? Maybe I’m just an out of touch blogger, but I couldn’t tell you the price of milk within about 50 cents. However, when it’s my turn to shop I do buy the store brand! Amazing! In the last 2 years he made 21 million a year just from his investments, no wages! If the opportunity presents itself? I’d take capital gains over income at levels that high. I think we’re too hard on Romney – yeah, it’s a massive amount of wealth, but I imagine if any of us were in the same situation we’d do out best to optimize it. Isn’t that the goal of personal finance? This is great! I don’t care if these are “garbage assumptions”. Your speculations about Romney’s contributions are pretty creative. Nice work! Thanks! I tried to keep an ‘element’ of “hey, this could happen” in the article. Since he’s had his investments in a blind trust since roughly around when he was CEO/President of the Salt Lake City Olympics, I bet he actually had bigger returns in the beginning before turning over the assets. Either way? A truly impressive number. This dude has some money. Very creative in how you came up with the account value – nice work! The max everything out method? Haha, I wonder how close that is to the actual method he used. I figure, if he was in management at Bain (he was once he was at Bain Capital), he’d have the ability to max out his deferred compensation, so the $30,000 doesn’t seem like too much of a stretch. Impressive by any measure! Thanks for the comment. Is an IRA a good way to hide insider trading? Not particularly – at least not in a normal form. If your IRA is just a brokerage you leave behind the same paper trail as you would with any other brokerage account. Things get interesting if you have a self-directed IRA (as Mr. Romney certainly did). If you used a self-directed IRA to invest, in a roundabout way, in a property that you benefit from – say, buying yourself a house that you lived in – that would be a prohibited transaction. However, the terms which make the IRA prohibited are clearly stated – so you can avoid any appearance of those problems. So, there is nothing special about an IRA which makes it easier than usual to hide transactions. The best way to insider trade is still the simplest – pass ideas to someone else and let them make the trades. If Bain contributed in the form of Bain equity shares, that would explain it. Maybe so – but we have no way of knowing what they are worth now and what they were worth ‘then’ (when granted). Possible, however. Wouldn’t just buying and holding a big winner like Apple have gained those types of returns? I am not a financial person, so I was trying ot figure out just how wildly out of range his returns are. Yes, the right stock could have easily done it. Odds are Romney was able to get in on some early stage Bain investments in his IRA which (if so) could have had massive jumps… some of the investments listed in the article were increasing 30-100x. The only issue with Apple is it IPOd in 1980, so he would have had to pick another stock before then. IBM is a decent example too – in my follow up I did the math on that, and for $612,000 you could have around $14,000,000 right now in the same time frame. Awesome work on finding numbers to maximized contribution scenario. Can one really beat the stock market at this average rate of return for such a long period? Take the 2008 collapse, one would need a crystal ball to timely sell your shares and buy the right hedge funds to keep up with the 16% average. Everyone makes mistakes from time to time, your graph does not take those mistakes into consideration. The question still remains and the doubts will persist. I should’ve read your link in the last reply to Nameless which goes to show that it wasn’t just the stock market that helped Mr Romney attain a large IRA nest egg. This makes loads of sense now. Would be nice if you could do a follow up hypothetical on what Mr Romney minimum required distribution will be when draw time arrives for him. As pointed out by Evan, we’re only really posting the defined contribution plans – it’s entirely possible we’re missing out on a whole class of plans – defined benefit – where Romney could have increased his cost basis. But yes, no person could achieve returns in the way I graphed, with so little volatility. In fact, the only person who even tried to report smooth returns like that that I can think of? Bernie Madoff. I think you saw in a separate post, but this theoretical was more to compute the geometric mean return Romney was able to achieve (and it was impressive). For your question – yes, people can do it, whether you believe it is luck or skill (Warren Buffett being the obvious example). Check out my follow up post where I took the numbers and applied them to the S&P 500 and you’ll kind of see what I mean. I only know that if I wanted to borrow from my IRA to make an investment, I would have to pay tax and pay back the money. If I knew I could do what he did legally, I could have invested in my own house with tax-free money. I think what he did is illegal, which is why we should not believe him when he says he didn’t do anything illegal. I tink this proves he’s a cheat. And I “tink” your comment only proves you lack reading comprehension skills. Try googling self direct IRA. I don’t know anything about him ‘investing in his own house with tax-free money’. What illegal movement are you referring to? There are ways to get money out – in a Roth you can pull out contributions at any time. Also, you can get money out of any IRA using 72(t) distributions. That goes for you, Mitt, and me, of course. Who cares about how much money Mitt has. I care about the money BO keeps blowing and giving to Arab nations. You should care about that also. From a personal finance perspective? It’s interesting, and far from ‘not caring’ I’d love to match Mr. Romney. I do care about the debt run up by the US as well, and we have quite a few articles on it. Shifting back to Mr. Obama’s personal finances, perhaps you’ll find this article about which estimates that he overpaid for his house by north of half a million dollars interesting. If romney makes president(which he won”t, i hope) he will probably come out of that office a billionaire! Sounds like he loves to line his pockets with others money! That is what polotics is anyways, it’s people that cannot and will not find a real job! Not into the whole Other People’s Money part of politics? You aren’t alone – but although both Romney and Obama have private sector experiences, Romney’s was unarguably longer. I think if Romney became a billionaire it would be well after leaving office – although note that he’s still relatively young, and even just leaving his $250 million invested might be enough to get him into 10 figures on its own.